Models of the effects of volcanic greenhouse-gas releases showed the earth warming dramatically and oxygen disappearing from its oceans, leaving many marine animals unable to breathe, according to a study published Thursday in the peer-reviewed journal Science. By the time temperatures peaked, about 80 percent of the oceans’ oxygen, on average, had been depleted. Most marine animals went extinct. The researchers tested the model’s results against fossil-record patterns from the time of the extinction and found they correlated closely. 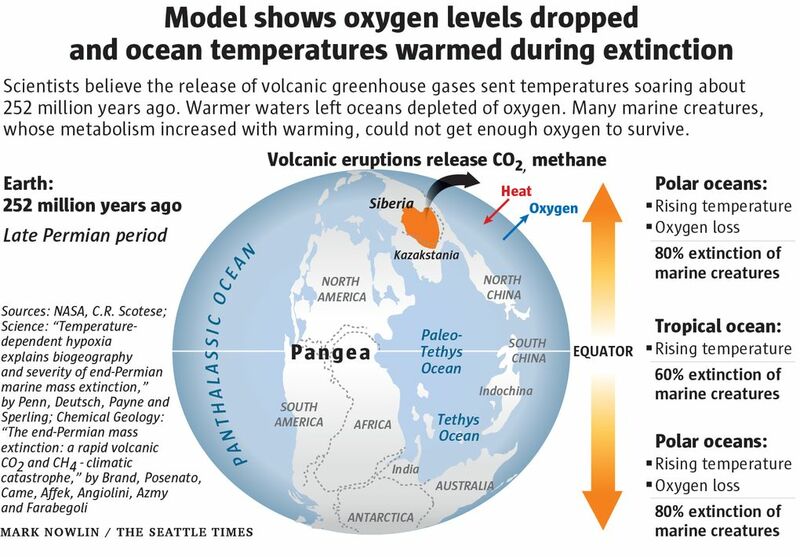 Although other factors, like ocean acidification, might have contributed some to the Permian extinction, warming and oxygen loss account for the pattern of the dying, according to the research. The climate, however, resembled Earth’s now, and researchers believe animals would have adapted many traits, like metabolism, that were similar to creatures today. Nearly every part of the Permian Ocean, before the extinction, was filled with sea life. “Less than 1 percent of the Permian Ocean was a dead zone — quite similar to today’s ocean,” Deutsch said. “We’re talking about enough lava erupted onto the surface and intruded into the crust to cover the area of the United States that if you looked at the U.S. from above was maybe a kilometer deep in lava,” he said. “That’s how you drive the Permian mass extinction, by intruding massive volumes of magma into a basin rich in carbon-bearing sediments,” he said. As temperatures climbed toward the 10-degree mark, the model’s oceans became depleted of oxygen, a trend scientists are evaluating in today’s oceans, too. Warming’s effects were twofold on the creatures, the researchers found. In warmer waters, animals need more oxygen to perform bodily functions. But warm waters can’t contain as much dissolved oxygen, which means less was available to them. In other words, as animals’ bodies demanded more oxygen, the ocean’s supply dropped. 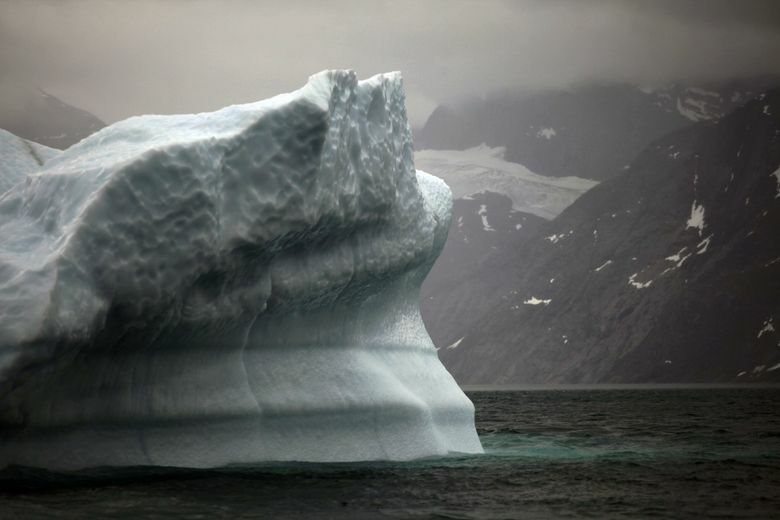 “The high latitudes where it’s cold and oxygen is high — if you’re an organism that needs those kind of conditions to survive, those conditions completely disappear from Earth,” Deutsch said. In modern oceans, warming and oxygen loss have also been more pronounced near the poles, researchers said, drawing another analogue between the shift in climate some 252 million years ago and what’s happening today.